As a mom of two boys who never sit still, I’m always looking for easy and healthy ways to combat the snack attack. Inevitably and as soon as we load into the minivan (a.k.a. mom-mobile), I’m hit with the “Mom, can I have something to eat/drink?” requests. 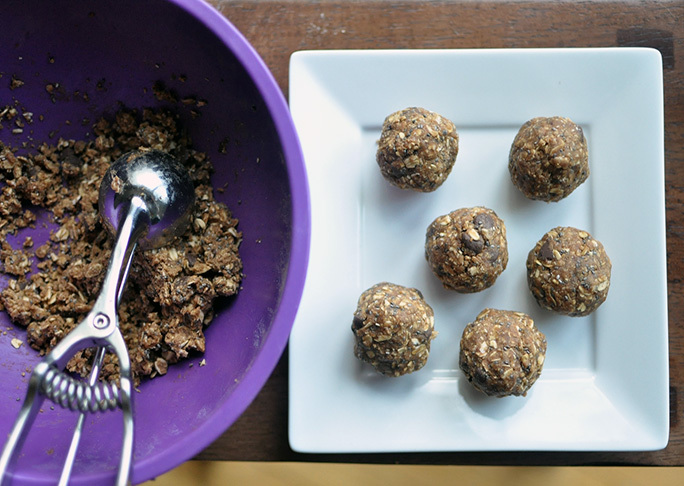 As a mom who is also a recipe developer I’m constantly looking for healthier ways to keep them satisfied, and I recently came up with these quick and easy peanut butter chocolate energy bites. 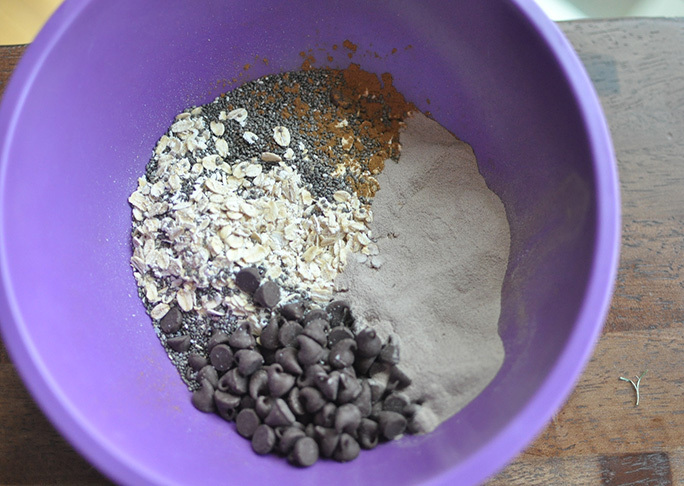 They are loaded with healthy ingredients like oats and chia seeds and studded with a few chocolate chips for fun! These bites willl fill them up way longer than your average packaged snack, which means I am not searching for another option three minutes after they’ve consumed them. I love packing these in my gym bag as well for a pre- or post- work-out snack. 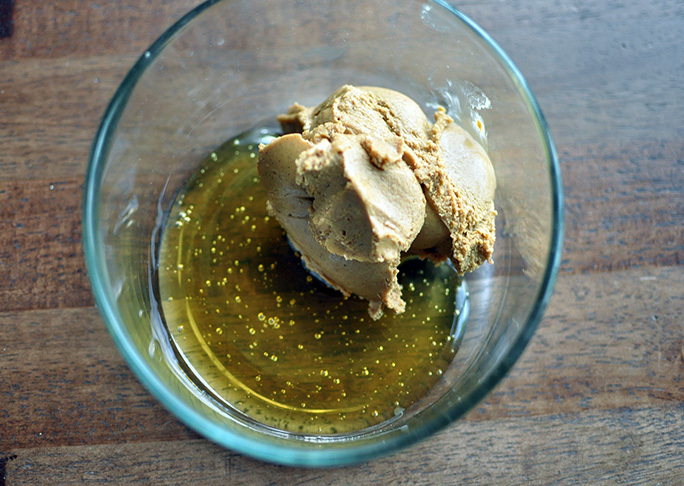 You can easily customize by swapping in your favorite nut or seed butter and even tossing in some dried fruit for good measure. Happy snacking! 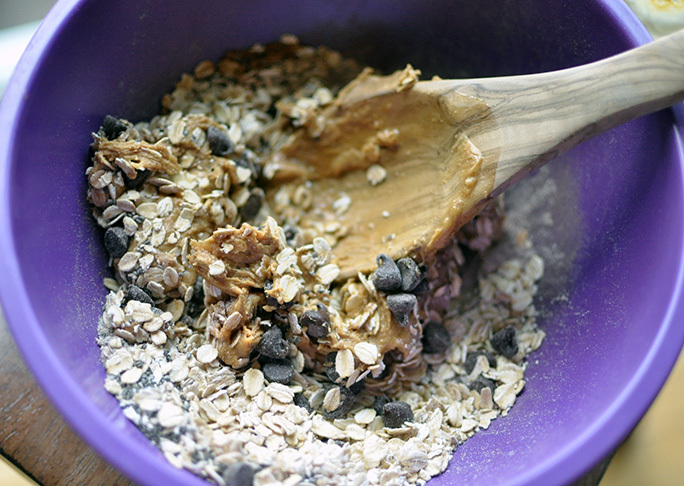 Step 1: In a medium bowl, stir together all of the dry ingredients using a sturdy wooden spoon or your hands. Step 2: In another smaller bowl combine the peanut butter and the honey. Step 3: Combine the wet and the dry ingredients. 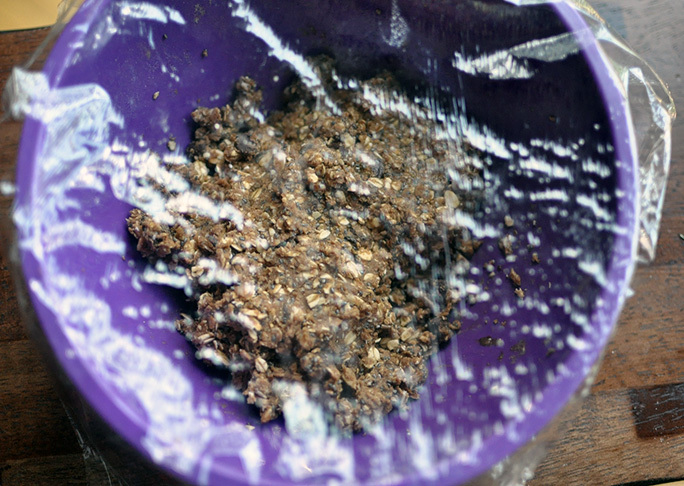 Note: If mixture seems too dry to come together, add in the tablespoon of water but don't overdo it. Mixture should not be wet or gloopy. Step 4: Cover bowl with plastic wrap and refrigerate until mixture stiffens up slightly. Step 5: Using a small ice cream scoop or a tablespoon, scoop out balls about 1 inch in diameter. 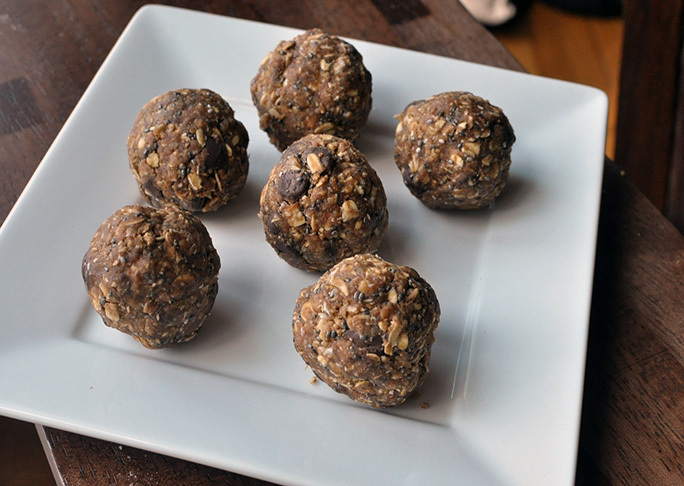 Place balls into an airtight container and store in a cool, dry place for up to three days or in the freezer for up to one month. Red White & Blue Skewers for the Kids!